← What Does Fee for Service Mean? How do you save one million lives? By saving one million hearts. 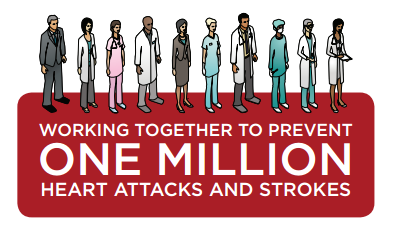 That’s the goal of the national Million Hearts® initiative, which aims to prevent one million heart attacks and strokes in the U.S. by 2017. I attended a workshop last week that discussed how Connecticut could step up to meet this challenge. 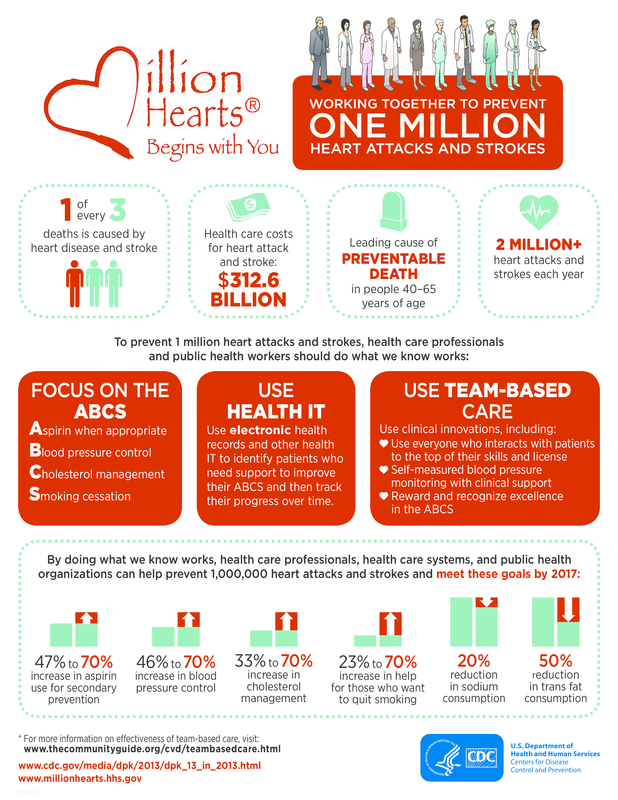 As this infographic shows, we have a long way to go to improve performance on the ABCs. For example, the initiative is setting a goal that 70 percent of patients will have their cholesterol well-controlled by 2017. In 2013, when the initiative began, the rate was only 33 percent. With regard to blood pressure control, the goal is to raise the rate from 46 percent to 70percent. Organized by the Department of Public Health as part of the state’s chronic disease plan, Live Healthy Connecticut, the meeting focused on how deploying pharmacists to help people manage their medications better would be a great way to make a dent in meeting these challenging goals. Dr. Marie Smith, professor and assistant dean at the UConn School of Pharmacy, presented the overwhelming evidence that pharmacists have an integral role to play in helping patients manage their chronic conditions, and can make a real difference in improving outcomes. Smith, a health reform champion, is nationally-known for her pioneering work on showing how pharmacists have a crucial role to play in the delivery of superior, cost-effective primary care. Right now, fee-for-service payment rarely includes a way to reimburse pharmacists for spending time with patients. And even in this era of greater adoption of team-based primary care, pharmacists are often left out of those teams. Daren Anderson, VP and Chief Quality Officer at Community Health Center Inc.
All of them described innovations underway in their particular organizations and in the health policy environment that could make a real difference in preventing heart attacks and strokes in Connecticut. It was inspiring and heartening to hear about these efforts. Yet, while the pace and spread of change is accelerating, we still have a long way to go. Come on, Connecticut, “Land of Steady Habits!” We know what works and we know what we need to do. Let’s go save those hearts! This entry was posted in Jill Zorn and tagged Cost & Quality, Infographics. Bookmark the permalink.